Learn more about homes for sale in Indian Trails Subdivision. Looking for a house in neighborhood where you feel at ease can be quite challenging. Are you looking for a cozy house in Ocala, one that you and your family will feel comfortable living in? Then Indian Trails is the place you are looking for. This lavish neighborhood is situated off Baseline Rd (SE 58th Ave). Do you love the outdoors and thus love to unwind outdoors, enjoy the evening breeze either by jogging or cycling? Then Florida Greenway is just nearby where you can enjoy these and many other outdoor activities. Indian Trails subdivision is situated near social amenities such as a shopping center where you can do all you shopping with ease, prestigious schools, restaurants that offer sumptuous meals and other needed amenities. Close by is the Silver Springs Attraction pack where you can visit and have fun all year. Security is guaranteed so you can reside in this serene neighborhood without having to live in fear.Would you like to see for yourself these Indian Trails homes for sale? 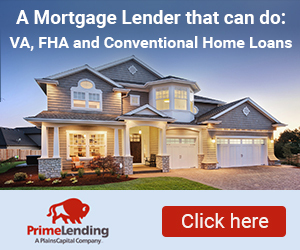 If you are thinking about Buying a Home read that guide, and reading our Guide for Home Buyers, or education yourself by reviewing my Florida Mortgage Broker. Also you can perform an Advanced MLS Search, by finding a home using the Map Search, or read about other homes around Ocala FLa. Read my blog to find out about Current Events in Ocala Florida. To find more properties in Ocala Florida you can search Ocala subdivisions for more houses that are for sale. If you are not able to find anything in Ocala, you cannot search real estate in Ocala Florida.